A new documentary about the bravery of boys dancing is being hosted by the Royal Academy of Dance, writes Karen van Ulzen. Some things never seem to change. Little girls will take up ballet and be adored by all. Little boys will take up ballet and be bullied and ostracised. No matter the claims that as a society we have become more open-minded, more educated about the arts, more civilised and cultured, more accepting of minority interests, boys continue to suffer if they choose to take up dance, particularly classical dance. It’s little wonder that the numbers of boys doing ballet remain pitifully low. According to research by the Royal Academy of Dance (RAD), only 1.8 per cent its exam candidates are male – though the proportion rises to around 4-6 per cent at the higher vocational graded levels. In recognition of this statistic, the RAD has established Project B, an initiative to encourage boys into ballet. As part of this project, in September it is screening the film Danseur, a remarkable film about the trials boys undergo to achieve their dreams of becoming professional dancers. The US filmmaker, Scott Gormley, has a son who dances. He was moved to make the film when he saw that his son was being teased at school. “When my son Jack was in his early teens,” he explains, “I noticed that he no longer had a group of friends surrounding him like he had his entire life. Instead there were one or two girls that he exclusively befriended. After some digging it came to our attention that the larger group of boys that he used to associate with were making fun of him because of his choice to dance ballet. They couldn’t understand why he would choose ballet. The film took about three years to make and interviews about two dozen dancers or dance professionals of all ages, including James Whiteside, principal dancer at American Ballet Theatre; Harper Watters, soloist at Houston Ballet; and John Lam, principal at Boston Ballet. Jake Burden would identify with Gormley’s comments. An English-born dancer now settled in Australia, he has set up Ballet Brothers, a support organisation for boys who want to dance. As a child, the bullying he suffered was, in his own word, “horrendous”. That was turning point for him – he left his Yorkshire grammar school at the age of 13 and went to the Hammond School, a boarding school in Chester, and eventually on to Elmshurst School for Dance in Birmingham. He says now that the move was the best choice, but it is an indication of how desperate he was – to avoid the bullies and to dance -- to leave his home at such a young age. Burden, however, was “lucky” in the sense that he had parents who supported him in his ambitions. Another male dancer who chose his parents well is Matthew Lawrence, the Australian Ambassador for Project B, whose father loved ballet and encouraged his interest. Many do not. It would be nice if male dancers didn’t have to be so brave just to do what is an occupation that, at the very least, gives the world so much pleasure. Gormley has made a point of letting the film “focus on the beauty of ballet so there are periods throughout the film where I allow dance to speak for itself”. The RAD is hosting an Australian premiere screening of Danseur at the Dendy Opera Quays cinema in Sydney on Saturday 29 September, followed by a forum with Scott Gormley, Jake Burden and Matthew Lawrence. The film is also screening at the New Zealand School of Dance, Wednesday 3 October. Take your fathers, brothers and boyfriends. Pictured top: Dancer Evan Li. Photo: Courtesy of the Royal Academy of Dance. This article was first published in the August/September issue of Dance Australia. 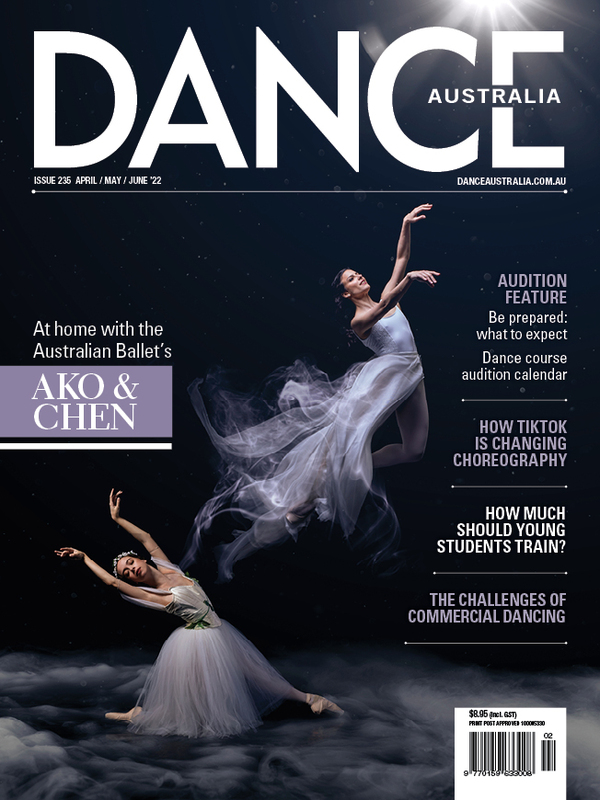 Buy Dance Australia at your favourite magazine retailer or purchase an online copy via the Dance Australia app or subscribe here.